Weight Empty: 35 Lbs. and Full: 270 Lbs. The product's capacity allows extended time out camping - it doubles it! 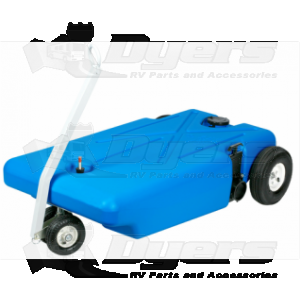 The overall construction is perfect - portable, easy to move with the handles and large wheels, low the ground, and sturdy. It is definitely a bargain... let's me camp longer before the 'Dump'. This will haul a lot of poop.